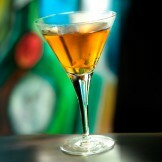 Bobby Burns drink recipe made with Benedictine,Scotch,Vermouth,Vermouth,. How to make a Bobby Burns with all the instructions and ingredients. 3rd Degree Burns View This Recipe! Being Bobby Brown View This Recipe! Bobby & Whitney View This Recipe! Bobby Blitz View This Recipe! Bobby Burns Cocktail View This Recipe! Bobby C&apos;s Kamikaze #5 View This Recipe! Bobby Cocktail View This Recipe! Bobby Petersen View This Recipe! Bobby&apos;s Beafpuppet View This Recipe! Bobby&apos;s Way View This Recipe! Carpet Burns View This Recipe! Burnsie&apos;s Beach Party View This Recipe! Burnso Tropical View This Recipe! Beadlestone Cocktail View This Recipe! Beal&apos;s Cocktail View This Recipe! Bonny Doon View This Recipe! Boyd Of The Loch View This Recipe! Burn&apos;s Night Special View This Recipe! Hoot Mon View This Recipe! Hot Mon View This Recipe! Rob Roy View This Recipe! Rob Roy Dry View This Recipe! Rob Roy Perfect View This Recipe! Rob Roy Straight Up View This Recipe!